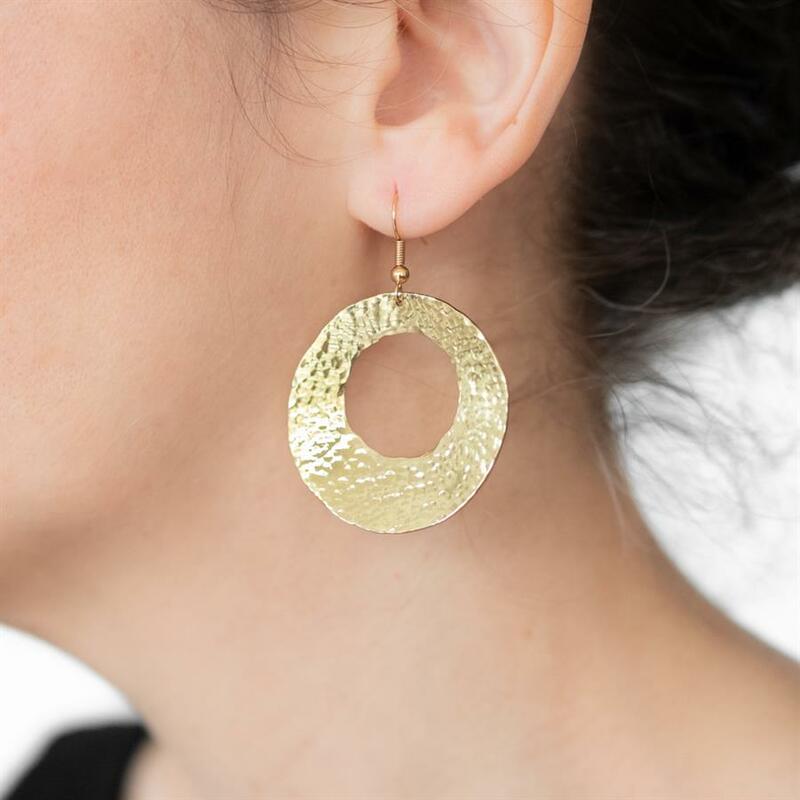 Elegant hoop-shaped earrings, sawn and hammered by hand. 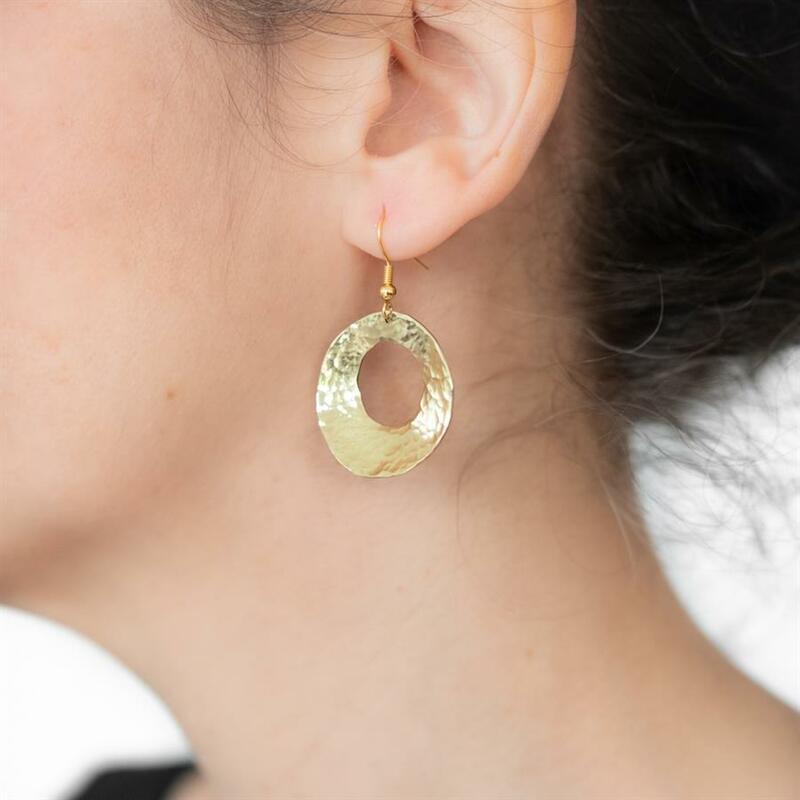 The earrings are made of brass and come in two sizes. Small: Approx. 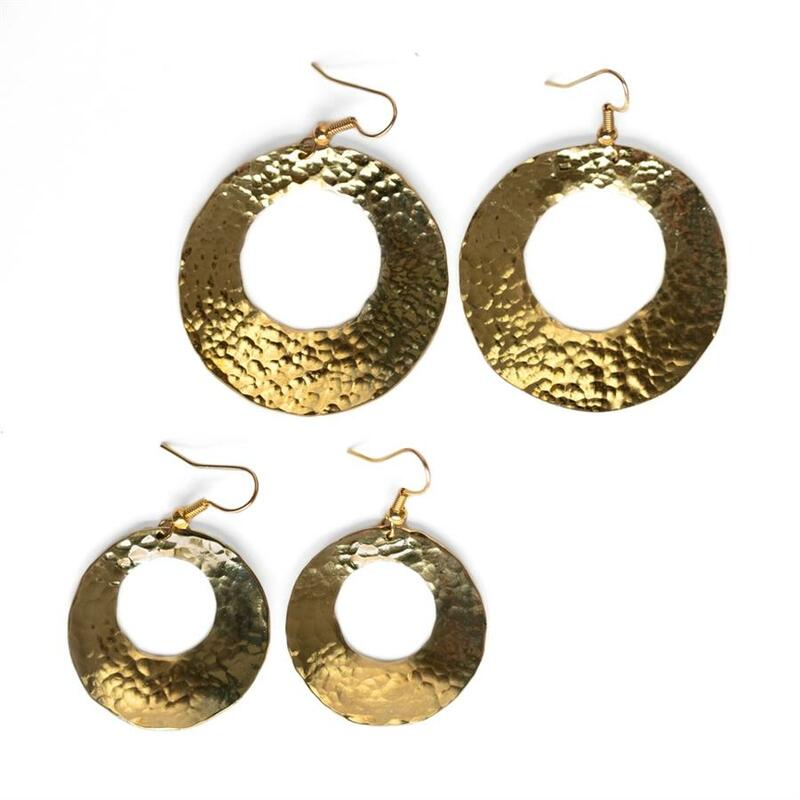 1.1" X 1.9"
Large: Approx. 1.5" X 2.1"